Boeing and the Federal Aviation Administration worked closely together to hustle a new passenger jet through the safety certification process. The combined efforts to save time and cost, coupled with little sense of accountability, resulted in a tragic safety flaw. Now hundreds of passengers are dead, albeit in other countries. The public is finding the enormous trust placed in the manufacturer and the agency tasked with monitoring safety was badly misplaced. The regulator tasked with safety appeared more interested in protecting Boeing’s monopoly and bottom line. The FBI announced it will join a criminal investigation into the process for certifying the 737 MAX. Precious metals investors will find many elements of the Boeing story familiar. Gold and silver bugs have already learned just how dangerous it is to trust corrupt and captured federal regulators. Now that lesson is being taught to Americans at large. By the time all the details of this sordid tale have been published, more Americans will wonder who federal regulators really work for. Gold and silver investors who have been similarly betrayed by the regulators. Regulatory malfeasance and corruption is a theme the precious metals markets and airline industry have in common. Concerns over regulatory capture and a track record of failure were largely ignored. Editors at Bloomberg outlined some of the history of the FAA in a March 21st editorial. Suffice it to say the recent crashes aren’t the only examples of the agency putting the needs of airlines and plane manufacturers ahead of public safety. 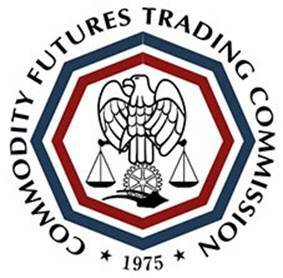 The Commodity Futures Trading Commission, the primary regulator for gold and silver futures markets, spun its wheels for five years on an investigation into rigging of silver prices. The investigation ended in 2013, without a single charge being levied. Just 3 years later, Deutsche Bank agreed to settle a civil suit and cooperate by providing evidence for use against the other banks involved. The bank turned over hundreds of thousands of documents and dozens of recordings which reveal widespread price rigging during the exact period of time the CFTC was investigating. Congressman Alex Mooney (R-WV) is demanding the CFTC explain itself. Regulators collaborate with the wolves who guard the hen house. The FAA outsourced much of its work to Boeing and agency managers pressured their own people to meet the company’s demands. When it comes to financial regulation, the situation is no different. And it could even be worse. The CFTC works closely with banks, and employees there often leave to take high paying job in the industry they used to regulate. Most Americans don’t realize, however, that banks have been put in charge of their own oversight as a matter of law. Regulators aren’t collaborating with wolves, they are wolves. The Federal Reserve is the primary regulator for banks, and it is owned by the likes of JPMorgan Chase and Citicorp. Too bad most Americans didn’t know about that when the Fed masterminded the bank bailouts in 2008. It would have helped them understand why the central bank was eager for banks to avoid accountability for the massive fraud and resulting economic catastrophe. Unless outrage forces a major reevaluation of the regulatory scheme, there isn’t likely going to be much change. The federal agencies involved will still be in charge of oversight. Worse, if history repeats, they may be rewarded with budget increases. Officials generally whine about a lack of resources and Congress usually buys it. There is another parallel between the recent plane crashes and price rigging in the metals markets, and this time it is good news. The customary process, whereby the regulator conducts the investigation and either takes no action or slaps a few wrists, is going to be circumvented. The Department of Justice is pursuing criminal investigations in both cases. And both will be litigated in civil court where class action attorneys can take full advantage of the large troves of evidence available. The corporations and the regulators that have enjoyed such a close working relationship have lost credibility. Outside parties are going to get a look at what happened. There is genuine reason to hope people will be held to account this time.